AMMONNEWS - The Palestinian president on Wednesday expressed hope that President-elect Donald Trump will support the Palestinian quest for independence, saying little is known about the incoming American leader’s policies. In a sprawling speech that lasted well over three hours to his Fatah Party, President Mahmoud Abbas said he hopes that 2017 will be the year that the Palestinians finally gain independence and that he would seek Trump’s help in achieving that goal. Trump has said he would like to broker a Mideast peace deal, but he has given few details on how he hopes to do so. He has raised concerns among Palestinians because many of his advisers take hard-line positions that favor Israel, and his campaign platform made no mention of Palestinian independence - a US position for the past two decades. “We hope that he will be able to offer something to the Palestinian cause, to offer a solution, a sane, balanced and fair (solution),” Abbas said. While President Barack Obama strongly advocated the need for a Palestinian state, he made little headway during his tenure. Two rounds of peace talks quickly collapsed without progress, leaving the Palestinians bitter and frustrated. 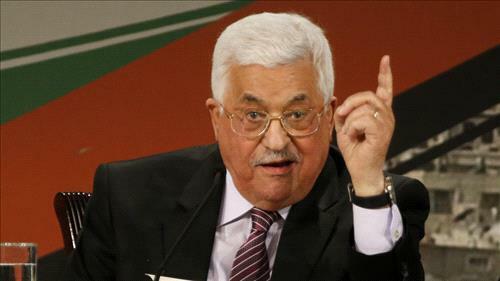 Abbas has used this week’s Fatah conference to cement his rule. On Tuesday, the 81-year-old was elected unanimously to a new five-year term as leader of the party, which has largely dominated Palestinian politics for five decades. Laying out his program, Abbas repeated his longstanding demand that a Palestinian state be established in the West Bank, Gaza Strip and east Jerusalem - areas captured by Israel in 1967. Israeli Prime Minister Benjamin Netanyahu, while saying he supports Palestinian independence, rejects a return to Israel’s pre-1967 boundaries. Abbas also rejected Netanyahu’s key demand that he recognizes Israel as the Jewish nation state. The Palestinians say that they have already recognized Israel’s right to exist, and that Netanyahu’s demand would undermine the status of Israel’s Arab minority and the rights of Palestinian refugees. In other comments that could irk Israel, Abbas praised a series of “martyrs” killed in fighting with Israel over the years, including Sheik Ahmed Yassin, the spiritual leader of the Islamic military Hamas group. He also rejected the idea of an interim agreement, giving Palestinians independence while final border arrangements are made. At one point, Abbas threatened to withdraw his recognition of Israel, but he gave no details on how he would do so. Abbas, who leads an autonomy government in the Israeli-occupied West Bank, frequently threatens to cut ties, but he has never taken firm action. In his speech, Abbas paid homage to the late Cuban leader Fidel Castro, who was famous for hours-long speeches, as well as the late Venezuelan leader Hugo Chavez and the Saudi King Abdullah, who died last year. He promised to dedicate roads and public squares to the three men.